Even though I studied maths, I became familiar with programming in my junior year at university. I'm indebted to the professor who encouraged me in that pursuit, as it provided me with an avenue not just for problem solving but for exploration that many of my classmates neglected. In many K-8 math and science classrooms, coding is beginning to creep into the curriculum in the form of fun and kid-friendly applications like scratch and initiatives like Hour of Code. Is there any scholarly research or professional education publications that report that 9-12th grade maths classrooms are beginning to incorporate coding as a standard tool for problem solving, as the graphing calculator was in the 1990's, or that recommend that maths teachers move in this direction? a curriculum which teaches algebraic and geometric concepts through computer programming. Algebra goes beyond just solving for x, and Code.org CS in Algebra goes beyond this writing code. Through learning to program, students will also practive problem decomposition, clear communication through documentation, testing their own functions against example cases and input/output tables, and much more. Many of the practices employed by CS in Algebra directly correlate to key concepts in the Common Core math standards: data types teach domain and range, test cases introduce students to input/output tables, and our block based programming language allows students to write functions with manipulatives. I have no direct experience with this curricular approach myself, but it may be an indication of a nascent beginning of "incorporat[ing] coding as a standard tool for problem solving" (to quote the OP's question). At an advanced undergrad level, I have had an encounter with "programming-versus-math" in the crypto course and equally-"applied"-but-different error-correcting codes course that I developed in the late 1990s. First, let me say that I myself find contemporary computers substantially helpful "even" for purposes that existed prior to them. Communication! Typesetting! Computational issues in number theory (my general field of interest) are low-hanging fruit in terms of marketability to students, or to amateurs, and have considerable interest to any sensible person. But, of course, there's a limit to what experiment can suggest, all the while thinking that (if we were practical physicists) a think untestable by experiment is nearly worthless. Somewhat surprisingly to me, I found a bifurcation in the attitudes of students, between computational/experimental verification (or experiment!) and "proof". In fact, much of the push-back against experiment from undergrads who claimed to exclusively endorse "proof" could be understood, under closer examination, to be a simple-minded resistance to "confusing inputs". In particular, a significant portion of the population was the sort of "math major" who "likes math" because "there are rules" and no general sensibility is relevant. As a pathetic counterpoint, the people who showed up with some capacity to program (but mostly inefficient graphical interfaces, silly things, nothing high-performance, by a mile...) could not imagine that there would ever be any need to "prove" anything. In fact, the most bizarre conception I'd encountered up to those dates was that ... in computer science students' belief system... computers are so fast/good/whatever that no task is impossible... The reason I had trouble catching-on to this conceit was that I'd have thought they'd have known that it's not clear that P is or is not NP, not to mention that the security of various security systems depends on tasks being difficulty for anyone. Sad summary: the majority of kids attracted to math as an undergrad major were attracted for reasons violently opposite to computer-science reasons, while the computer-science kids had belief systems that made them unable to understand why/how mathematics was necessary or useful. That is, apparently, there's a bifurcation in the general population between these ways of thinking. The time I've spent trying to cajole people into seeing the opposite possibility .. has not been repaid in any way, sadly. Here, yet again, I find that the implicit aspects of the question are the real trouble... Yes, I've tried to have an impact on curriculum, and on "attitude", but "computing" and "math" each do seem to have angry, uncooperative constituencies already established... Whah? 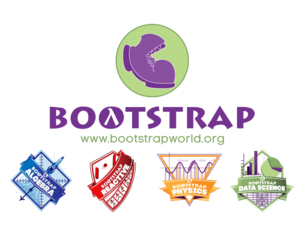 The most well-known organization that teaches algebra (along with physics and data science) using programming is Bootstrap. Its team even involves the university professors that have a number of publications about the Bootstrap teaching approach. It's not implemented in the curriculum at the official level but they organize a lot of professional development workshops for teachers across the United States. Another popular initiative for teaching math using coding is Computer-Based Maths (CBM). Its founder is Conrad Wolfram, a brother of Stephen Wolfram who created the famous computer algebra system Mathematica. The CBM course in statistics has been run as a pilot study in Estonian schools by the University of Tartu (see the results here). It hasn't become, however, the part of an official curriculum yet. 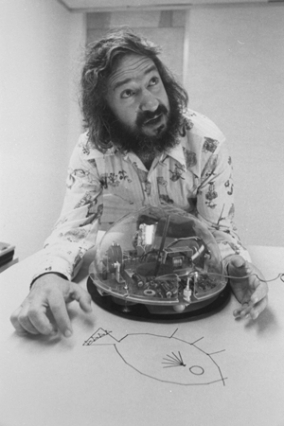 Finally I wouldn't be able to end this post without mentioning legendary Seymour Papert and his influential LOGO project. This research project was supported by NSF and its report can be found here. There is no official curriculum that uses LOGO principles but they have been widely applied by many teachers. Since then the LOGO turtle has become a standard Python module and can even be accessed online using Trinket. P.S. There is much more action in the universities and, for example, the Brock University has the complete undergraduate program called Mathematics Integrated with Computers and Applications. It is also supported by their own research studies that can be accessed here. The calculator push and graphing calculator push has ended up being more show than push (and you could see the signs of it going back to early 80s with NCTM and NSF). Gotta have some of them thar technology. So we throw gazillions at ipads in the classroom. And the kids who really get it have no problem picking up technology. And the ones who don't have same issues. And in some cases have them cloaked by calculator crutch (check out college confidential posts for example). Not the answer you're looking for? Browse other questions tagged technology-in-education education-research computer-programs or ask your own question. On the use of calculators in elementary/high school? Computer algebra systems later on? What are some best practices for creating student groups? Should my high school students use tablets or conventional calculators? Are there automatic solution checkers? Are there examples of countries where the use of CAS systems or graphing calculators was deemphasized or discontinued? How many secondary-school students are working on achieving independent understanding? Are document cameras widely used at college level? What did math educators think about the transition to widespread classroom use of calculators? Should basic exercises be solved before formulas are introduced?